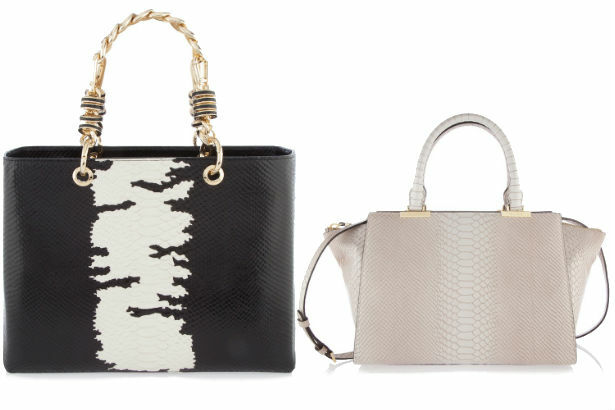 Just in time for the holidays, Henri Bendel is giving fashionphiles more items to add to their wishlists with the launch of its updated premium handbag line. The 10-style range is a collection of roomy carryalls in several colorways, produced in limited amounts, so if you want to get your hands on them, you’ll have to act fast. From a black croc-embossed leather satchel with expanded sides and gold hardware to a python-printed backpack, there are stylish options for everyone in this range. You’ll also find hand-painted pieces, like a stunning kaleidoscope floral-printed bag in sepia tone and an electric blue reptile-embossed tote. Prices start at $398 and peak at $898, and are available at stores in New York, Los Angeles, Chicago, D.C., Houston, Miami and Las Vegas, and online right now. Check out the collection below and shop the range at Henri Bendel.